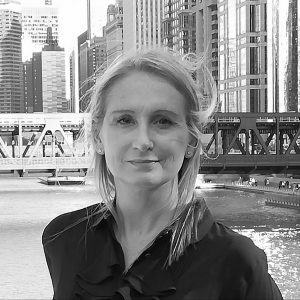 Chicago: Incubator LLC is proud to announce that CEO and Chief Human Resources Officer—Holly Urban, MBA, GPHR, SPHR—recently earned the Global Professional in Human Resources (GPHR) certification offered by the HR Certification Institute (HRCI). The GPHR demonstrates knowledge and expertise in global HR strategy and responsibilities that strengthen organizational global growth. The GPHR exam covers five functional areas of global HR knowledge: Strategic HR Management, Global Talent Acquisition and Mobility, Global Compensation and Benefits, Talent and Organizational Development, and Workforce Relations and Risk Management. Candidates must also have a thorough understanding of HR laws and regulations. According to the HRCI, as of January 2018, the GPHR has a pass rate of 66%, and there are only 1,727 GPHR credential holders. For more information about the GPHR designation, visit HRCI. GPHR® is a registered trademark of HR Certification Institute. Incubator LLC: At Incubator LLC, we are ALWAYS INNOVATING. We move from ideation, to design, to development, to implementation, and to market — quickly and efficiently for all ventures we take on. The Incubator LLC logo, as well as all of the project names and logos, are all trademarks owned by INCUBATOR LLC and its affiliates.